CCMA Conference: Some of us attended this very stimulating event and enjoyed presentations by Molly O’Shaughnessy, Director of training at Montessori Centre of Minnesota, and Adele Diamond, Canada Research Chair Professor of Developmental Cognitive Neuroscience at University of B.C. 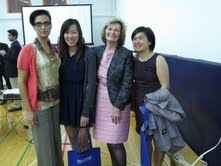 See picture attached of 2 MTC faculty attendees Helen Traicus and Carolina Mix. 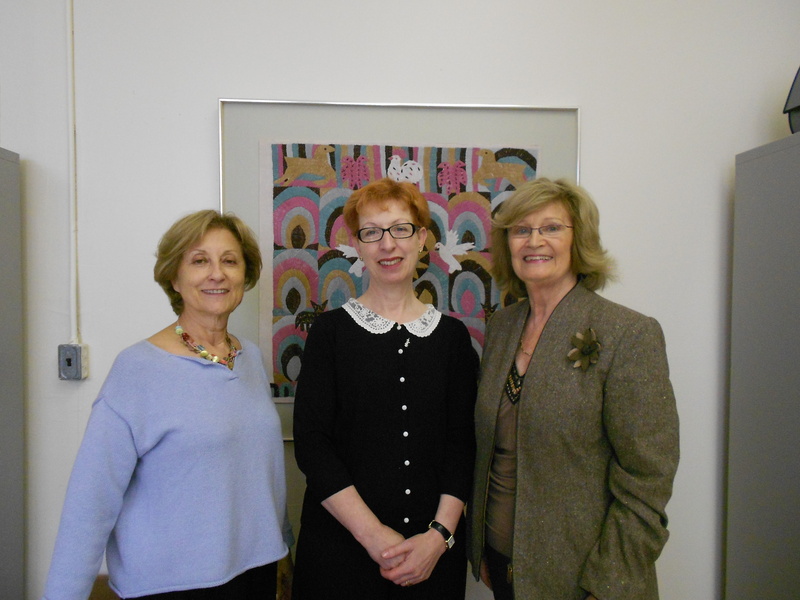 The Montessori Academy of London: I had the pleasure of visiting our intern, Lisa Otto on Monday. 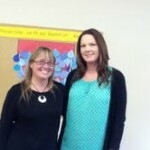 See picture of Lisa and her Supervising Teacher: Shonagh Stevenson-Ramsay. Special thanks to Kathy Work-Schlattman who took time to share lunch with me. Article: It can be a challenge to answer the question “What is the Montessori Philosophy?” A recent article on The Unique Characteristics of the Montessori Philosophy is included at the end of this blog. 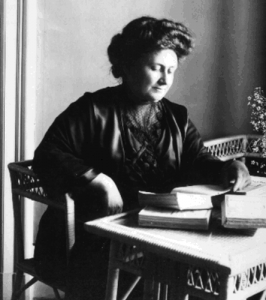 The Montessori Philosophy is an approach to the education of children based on the observations of Dr. Maria Montessori (1860 – 1952). Those of us working in the Montessori field are constantly delighted to discover that the observations of Dr. Montessori are as relevant today as in her time. Dr. Montessori discovered that children enjoy a structured environment where they can work undisturbed with activities of their own choosing. We call this classroom a Prepared Environment. It is a unique place where the children work with specially designed materials that develop their cognitive, physical, social and emotional skills. Many of these materials were scientifically designed by Dr. Montessori following her observations of children and her discoveries of how they learn. The activities of the children in the Montessori prepared environment are process oriented rather than result oriented. The environment is a place where the children’s inherent interest in “doing” is fostered. Dr. Montessori observed that children learn though experiences and through their interactions with the environment. Another unique feature of the Montessori Prepared Environment is that the children are of mixed ages. For example, there may be children aged two and a half, 3, 4 and 5 years in the same environment; or children aged 6, 7 and 8 working together. These mixed ages allow the children to form a community in which the older children assist the younger ones and the younger children learn from the older ones. This community of mixed ages develops fundamental skills such as respect for one another and an awareness of cultural diversity. A basic principle within the Montessori environment is the fact that discipline is developed from within the individual child rather than being imposed by an outside force such as a teacher. Freedom in the prepared environment allows the children to develop spontaneous discipline. Dr. Montessori observed that children can solve their conflicts peacefully. She observed “they have shown us that freedom and discipline are two faces of the same medal because scientific freedom leads to discipline.” The development of discipline is directly related to the amount of freedom the child experiences. A further unique feature of the Prepared Environment is the integrated curriculum. This means that the exercises the children choose are all related to another part of the curriculum. Each activity prepares for a further activity by refining and developing the child’s understanding. Dr. Montessori observed that children love repeating an activity. And in this way, children perfect their movements and deepen their knowledge. Dr. Montessori also observed that children experience sensitive periods, also known as times of optimal learning. During these transitory times, children learn with interest and intensity. For example, the development of language and the perfection of movement occur during these times of special interest. She also observed that the younger children learn through their senses, whereas the elementary children learn through their imaginations. The Montessori curriculum provides children with a holistic, creative learning experience that is built on a structured freedom. Individual freedom of expression is welcomed such as talking, writing, singing and other forms of musical expression, and in art such as drawing and painting. The elementary curriculum is research based. The elementary children complete projects on a subject of interest that integrates all the curriculum areas such as mathematics, geometry, history, geography, science, language including poetry and creative arts. Dr. Montessori called her teachers Directresses because she believed that the adults working with children in a Montessori environment needed special training. This comprehensive training recognizes that children are natural learners. It includes components on Montessori philosophy, child development, practical life skills, education of the senses, literacy skills, science subjects such as zoology, botany, mathematics, creativity in drama, art, craft and music, and contemporary issues such as health, safety and special needs. A major portion of the training is the internship period that includes observation of children It is important that the trainee Montessori teacher is open to experience a “change of heart.” By that I mean that the trainee is willing to see the world through the eyes of a child. This can mean letting go of preconceived notions and developing keen skills of observation. It also means recognizing the beauty of the child’s spirit, and supporting the child’s efforts to self-develop. This beautiful time of the year gives us all an opportunity to say “thank you” for all the benefits and blessings we have received during the past year. We thank all our alumni and recent graduates for the opportunity of working with them. We thank all our current students for joining MTC and for sharing their lives with us. We thank CCMA and CAMT for the support we receive from these organizations on such a regular basis. I thank the MTC Board for their vision, and special thanks to our Faculty and to Debbie, our Registrar – for such dedicated commitment to spreading the philosophy of Dr. Montessori. Florene Shuber and I were delighted to attend the Grand Opening of the new facility and extension at Clanmore Montessori School, 2463 Lakeshore Road East, Oakville on October 11. Congratulations to Grace Kidney and her team on this wonderful achievement. 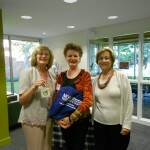 We were delighted to welcome my Irish friend, Lynn Jackson, to MTC on October 7. Lynn is a Montessori friend of mine for many years. 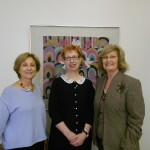 She now holds the position of CEO of the Holocaust Educational Trust in Ireland. 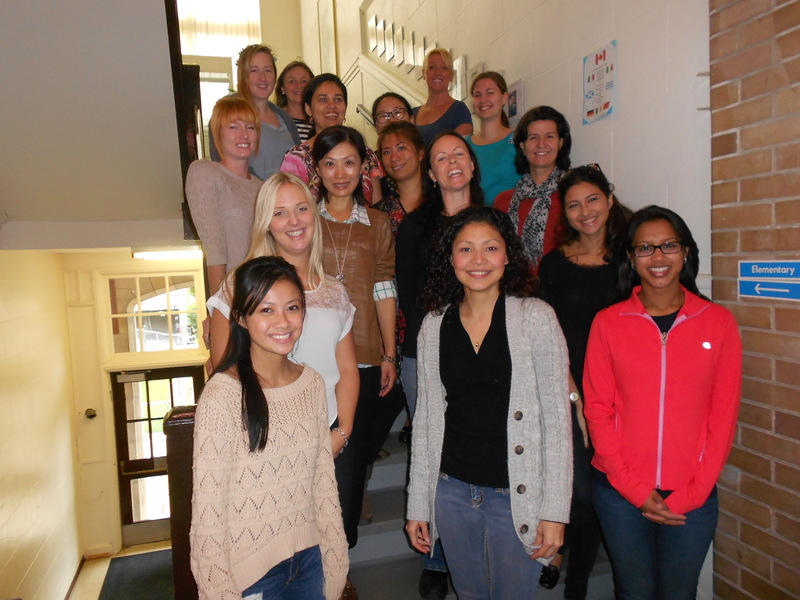 We are pleased that our Early Childhood Montessori Diploma course is full. I am working with this enthusiastic group in the Practical Life section of the curriculum and attach a photo of most of the group. To Natasha Wynter on the safe arrival of her baby girl. To Shazmin Manek on her recent marriage. Six Words You Never Knew Had Something to do With Pigs. Books will be available for purchase at this workshop. Further details, including Registration Forms on the MTC website, and from Debbie at 416 640 1565. 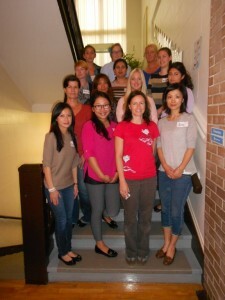 We were happy to say ‘Hello’ to our new group of Early Childhood Diploma students recently. See a picture below of some of the group. To all the graduands who will receive Diplomas on September 24 from the Infant Toddler, Early Childhood, Elementary 1 and Trainer of Trainers’ courses! Saturday, October 26: “Canada’s Word Lady” Katherine Barber will give a fun, fascinating and entertaining presentation on “Why is the English Language so Wacky?” Katherine has published many books, including: Six Words You Never Knew Had Something to do With Pigs. Books will be available for purchase at this workshop. 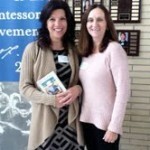 Michelle Lane-Barmapov was the Founder and President of the Lane Montessori School for Autism. This school was the first in the world to combine Applied Behaviour Analysis with the Montessori Curriculum. Michelle will share useful information on identification and resources available for parents and those working with children diagnosed with autism. 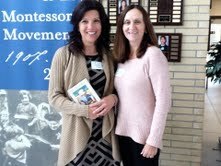 Her book “Autism A Montessori Approach is a best seller and will be available for purchase at this workshop. Time: 9 a.m. – 12 noon. 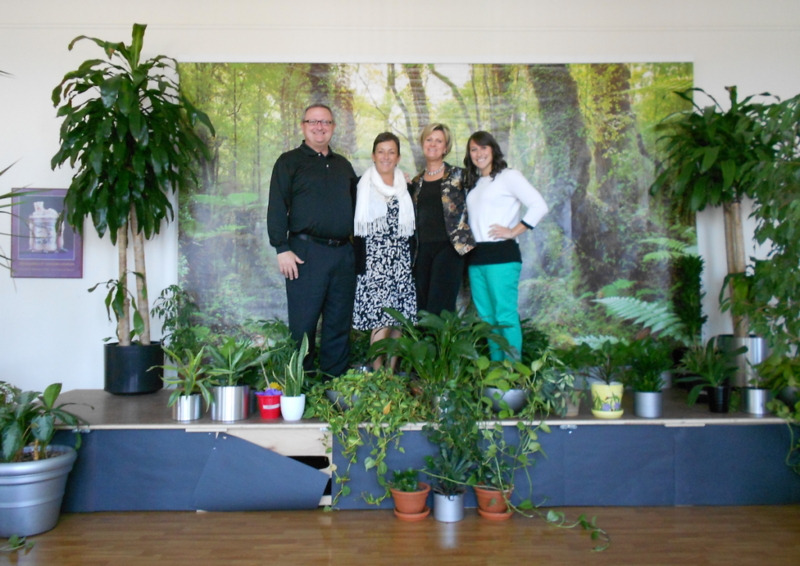 Saturday, January 18, 2014: Awakening the Senses – Art & Drama in the Montessori Classroom. This hands-on workshop will be presented by Kate Hemblen, who is a graduate of George Brown Theatre School. She holds an Early Childhood Diploma from MTC. Kate has run the Art Programme at Bannockburn School, where she has brought her love for all Art Forms, including sculpture, painting, drama, graffiti and stage craft provide practical and meaningful examples of ways to incorporate Art and Drama into your classroom. Watch out for details of a marvelous Workshop experience on February 22, 2014 on a unique approach to Music, and a very useful Workshop in April, 2014 on Opening Your Own Montessori School. Montessori News from MTC on July 2, 2013. The above quotation is taken from a book our Infant Toddler Diploma students are studying at present. We all find it helpful to keep this message in mind. 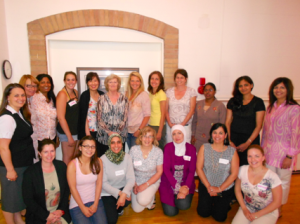 We all enjoyed a relaxing Canada Day, and then welcomed all the students attending our Early Childhood Assistants’ course, our Infant Toddler Diploma course and our Elementary 1 Diploma course on July 2. 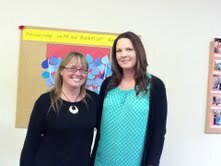 We wish June Strong and Roberta Pyke joy and happiness as they take up new teaching positions. Thanks to the MACTE onsite team! Dr. Floyd Creech, Dr. Rebecca Pelton, Teresa Noble and observer Emma Pelton. We were happy to receive the formal letter confirming accreditation of the MTC Early Childhood course for another seven years recently. Next Montessori Methods for Dementia™ two day workshop! This will take place on August 21 and 23 at Central West Community Networks of Specialized Care, 53 Bond Street, Oakville, Ontario. The hours are 9 a.m. – 4 p.m. Lunch, refreshments and workshop materials are provided. Debbie Couture will be pleased to hear from interested people for the Dementia workshop and for all other MTC courses. • We are pleased that the $100 gift to our Alumni for successful diploma course registrations links us to our graduates in a positive way. This comment was received recently from an Early Childhood Montessori diploma student who recently completed our course at Bannockburn School in Toronto. The Executive Director of the Montessori Accreditation Council for Teacher Education, Dr. Rebecca Pelton, has informed me that Renewal of Accreditation has been awarded to MTC for its Early Childhood Montessori diploma course. This accreditation is valid until 2020. We are all delighted! Many thanks to all the EC students, our alumni members and internship schools who gave time so graciously to meet the team. 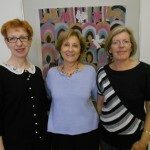 See the picture of the MACTE team of visitors with this blog. We said “goodbye” to our EC Toronto Diploma students last Saturday when they completed the written examinations. See you at Graduation on Wednesday, September 25! • A large number will be attending the EC Montessori Assistants’ Course. This course will be directed by Yomna Reda. • The Elementary group will re-joining us for review and end of course assessment. We are all looking forward to viewing their Cosmic Projects. • The Infant Toddler group begin a very busy 4 weeks. We look forward to their daily presence. • MTC continues to welcome applications for our Early Childhood Diploma course commencing September 7, 2013. 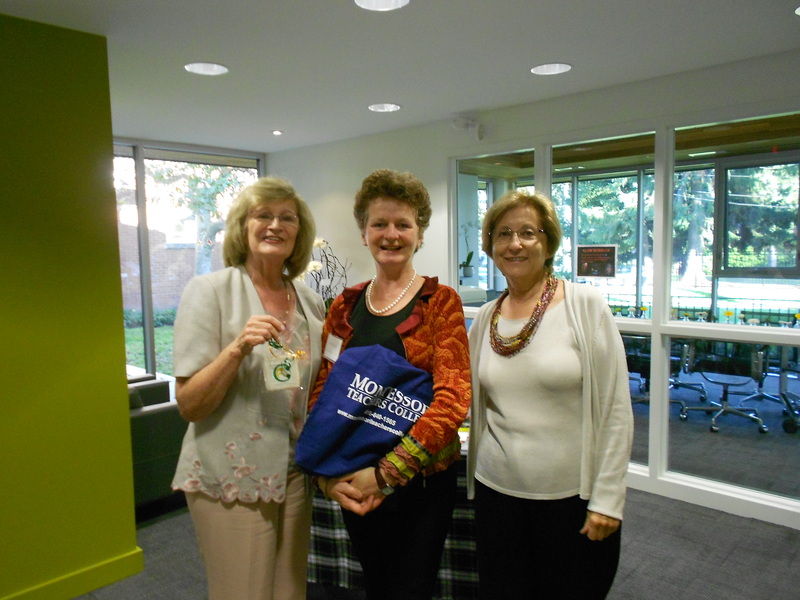 • MTC’s Montessori for Dementia workshops continue to be very popular. The dates for the next 2-day workshop are September 9 and 10, 2013 at Christie Gardens Residential Home. • We are thrilled that our new website is now available. We hope that you like the new look and will comment on it. We feel it is more colourful than our previous site and is easier to navigate. 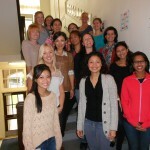 • Our Early Childhood group have now completed both oral and written examinations. The next time we will meet again will be Wednesday, September 25, 2013 at 7 p.m. for Graduation! • We are delighted to send greetings and congratulations to Martine Hestnes Vatland, the international Field Supervisor for our Infant Toddler group. She will be marrying Ken Healy later this month and we look forward to receiving a photo! • I was pleased to be invited to write an article on the legacy of Maria Montessori for Panoram Italia a Canadian-Italian magazine based in Toronto and Montreal. Article to be published in the August 2013 edition. • The MTC Montessori Assistants’ course will begin on Tuesday, July 2. We welcome applicants for this 8-day course which gives a clear introduction to the Montessori Philosophy and materials. 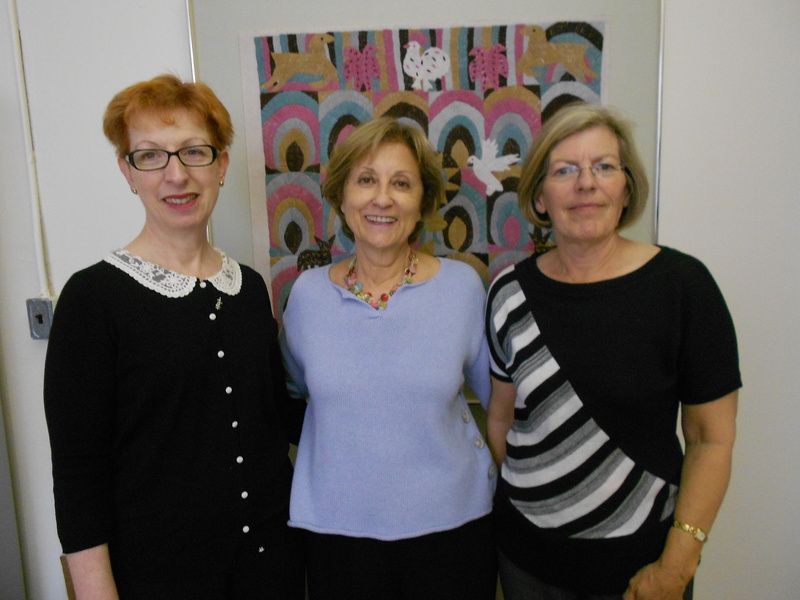 • MTC’s Montessori for Dementia workshops continue to be very popular. The dates for the next 2-day workshop are September 9 and 10, 2013 at Christie Gardens Residential Home. Do watch our website for dates of other upcoming Workshops.